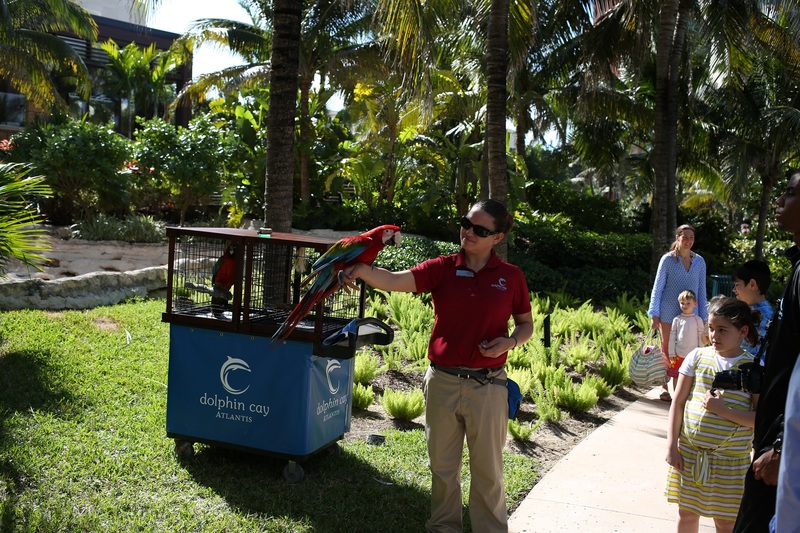 When you visit a resort where, at any given point, 60% of the guests are returning guests, you know that you’ve come across something special. 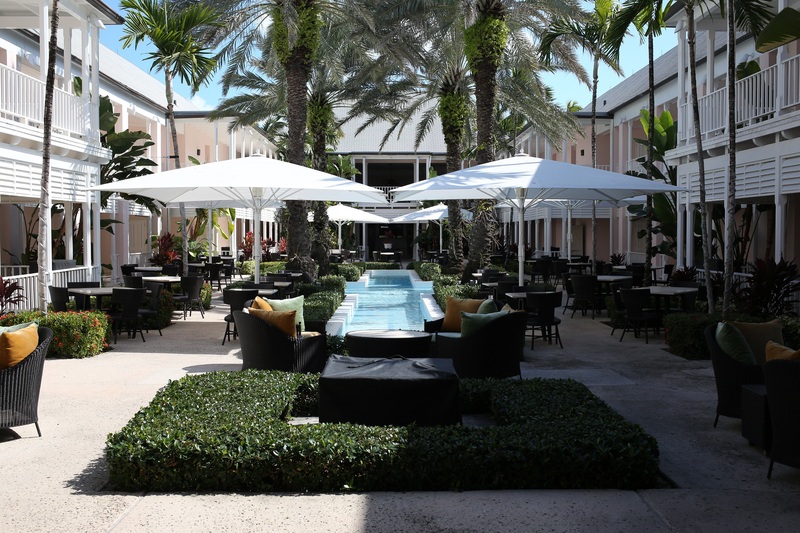 The One&Only Ocean Club is home to celebrities, royalty, and your everyday traveler who appreciates the much finer things in life. 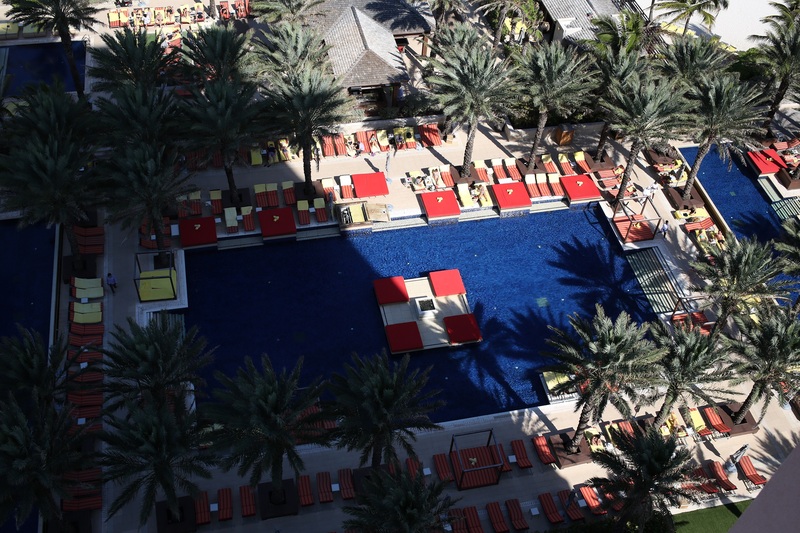 The One&Only Ocean Club is part of Atlantis, so you can partake in all that Atlantis has to offer – but as a guest of OOOC, you get to partake in things that no one else, anywhere else, does. 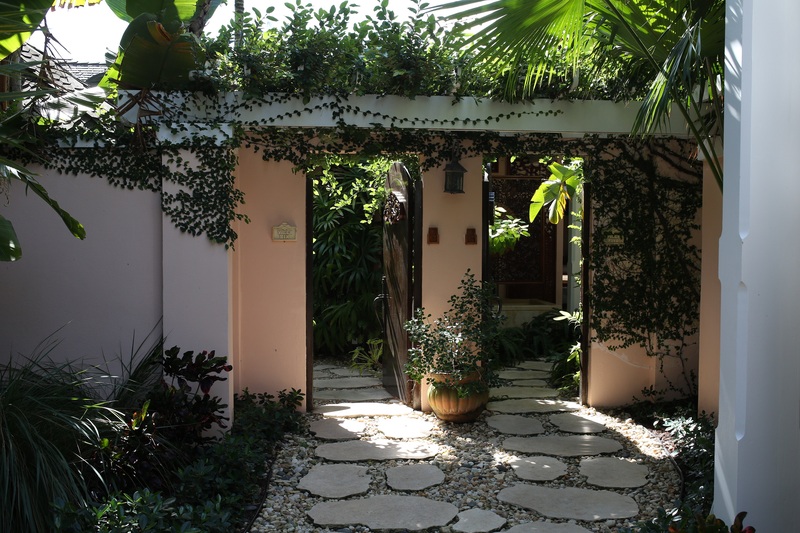 The beautiful courtyard as you pass through the lobby. 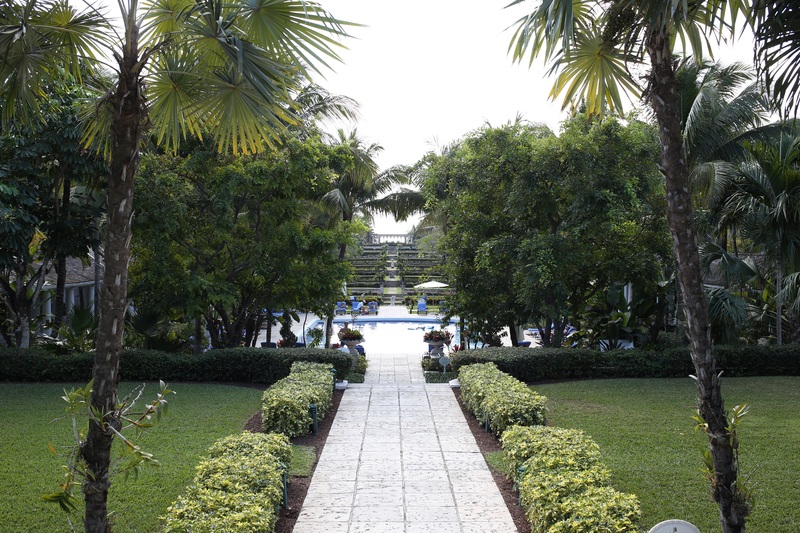 One side boasts beautiful garden views, another side features gorgeous Caribbean ocean views. Their spa is something that is in a category all itself. 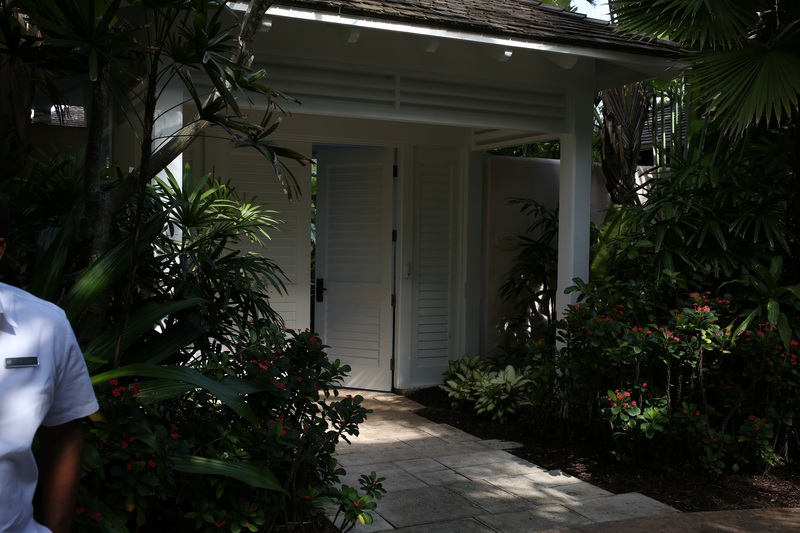 There is an on-site salon for manicures/pedicures, but if you want a massage or other spa treatment, you visit one of the private villas. What’s that? 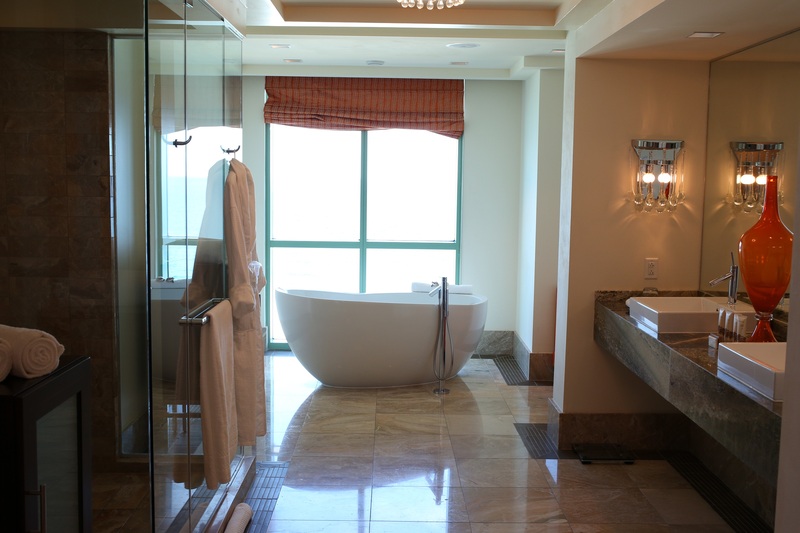 You’d rather have the spa come to you in your room? That can be arranged, too. One of the bedrooms in an unforgettable villa. 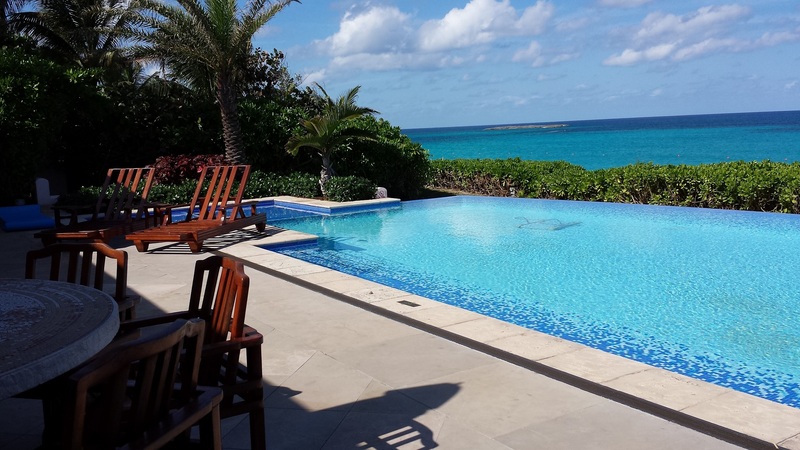 How about this amazing infinite pool, complete with beach access and an underwater treadmill?! You’ll need that treadmill, considering your private chef (they come with the villas) will make sure that you are well fed during your stay. Looking back at the colonial side of the courtyard. 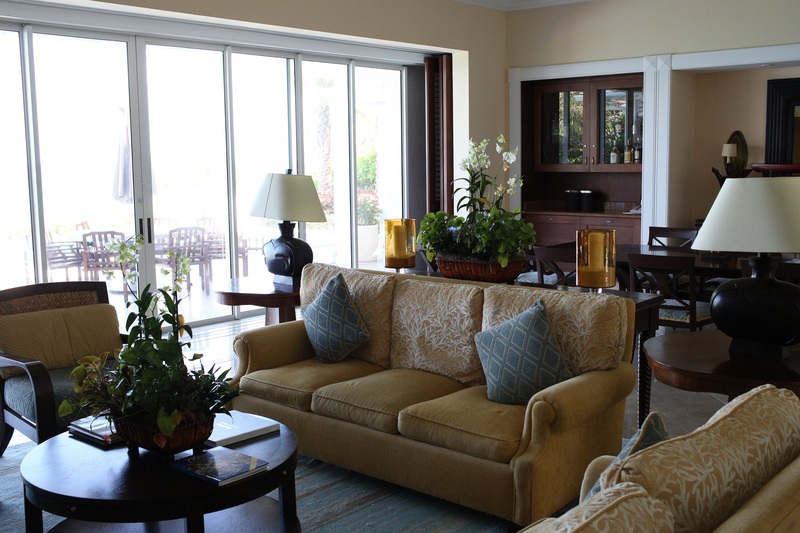 These rooms have porches that overlook the beach. 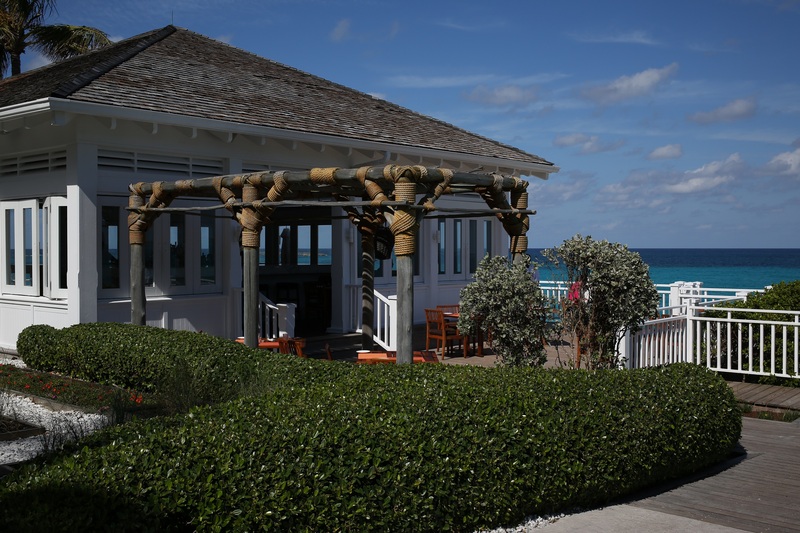 The Dunes is a restaurant by day, and entertainment venue by night. 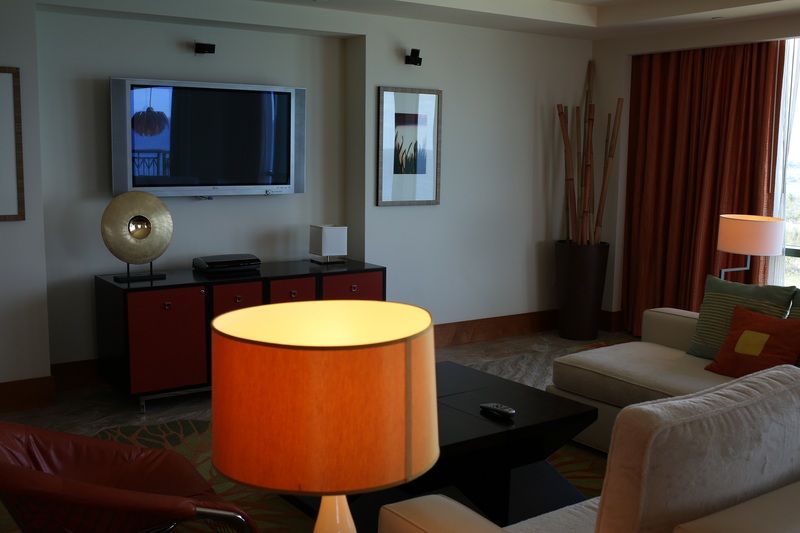 The more modern side of the resort features all-wood features. This side of the resort was built in 2008 and is a new favorite for many. 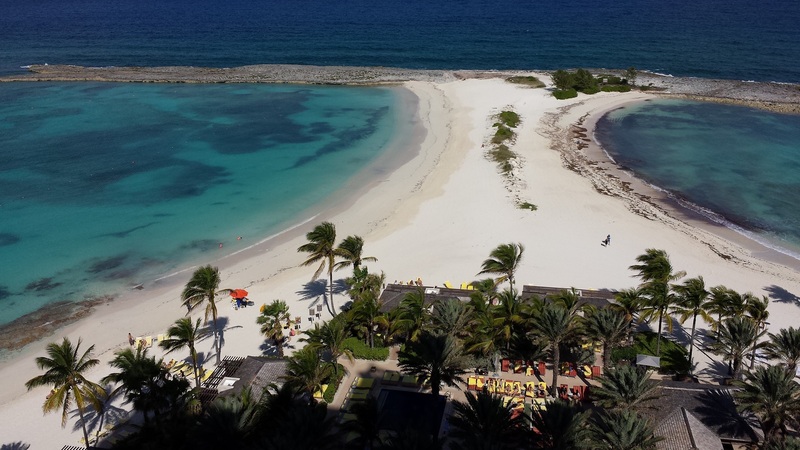 While visiting the Bahamas, I stopped by two great properties at Atlantis – The Reef and The Cove. 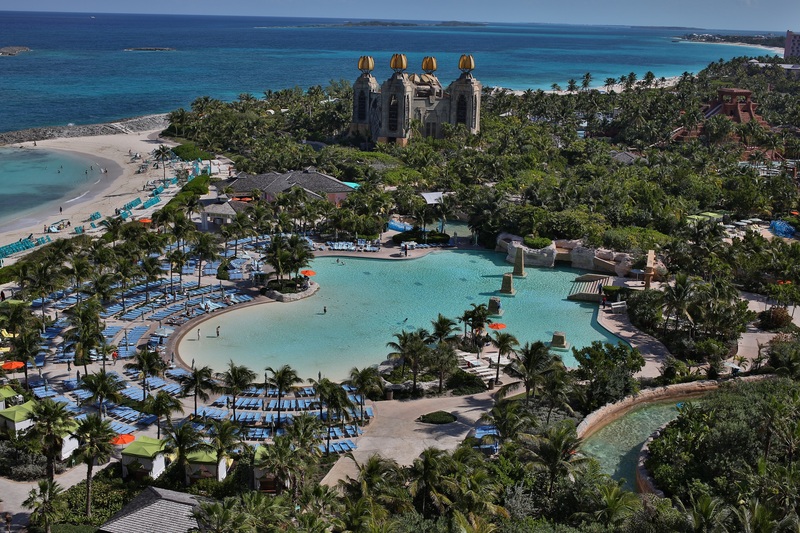 Atlantis is a popular family destination in the Bahamas, complete with Dolphin Cay, a casino, shops, and more pools and waterpark activities than you can cram into one family vacation. But The Reef and The Cove are a special part of Atlantis. 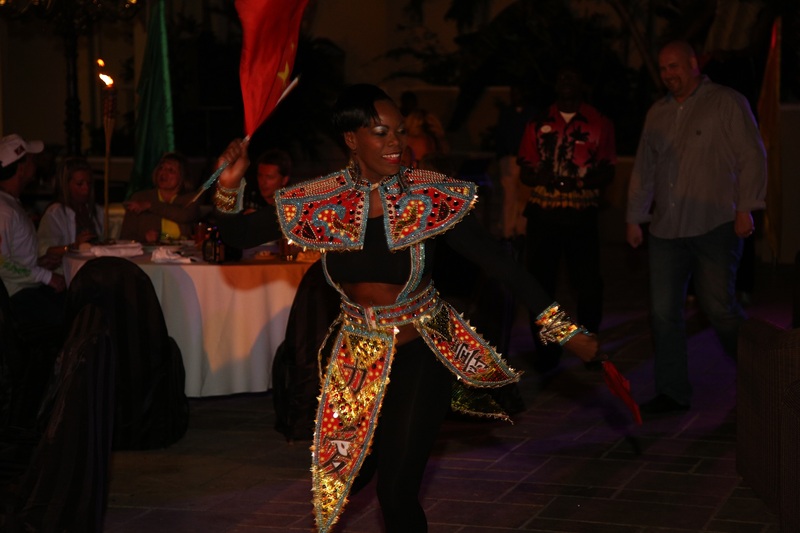 Guests can partake in everything Atlantis has to offer – with some special additions offered specifically to the resorts. 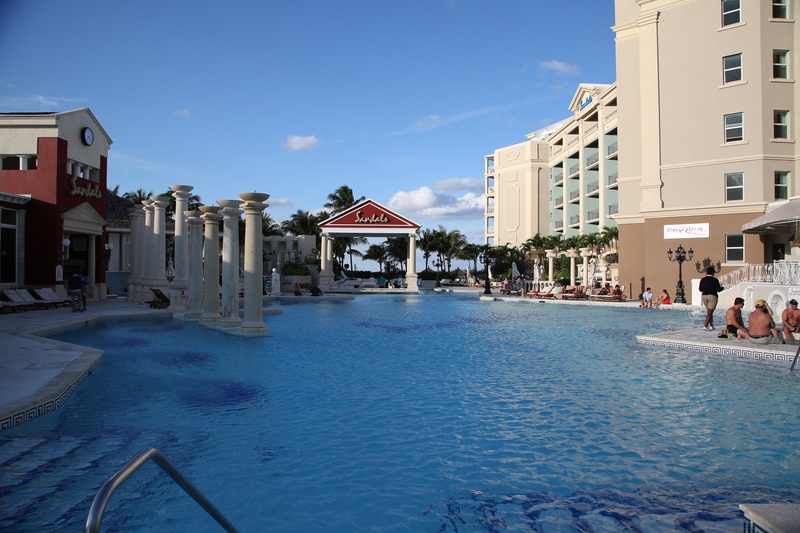 Honeymooners, families, couples, friends, bachelor/bachelorette parties… the possibilities are endless. 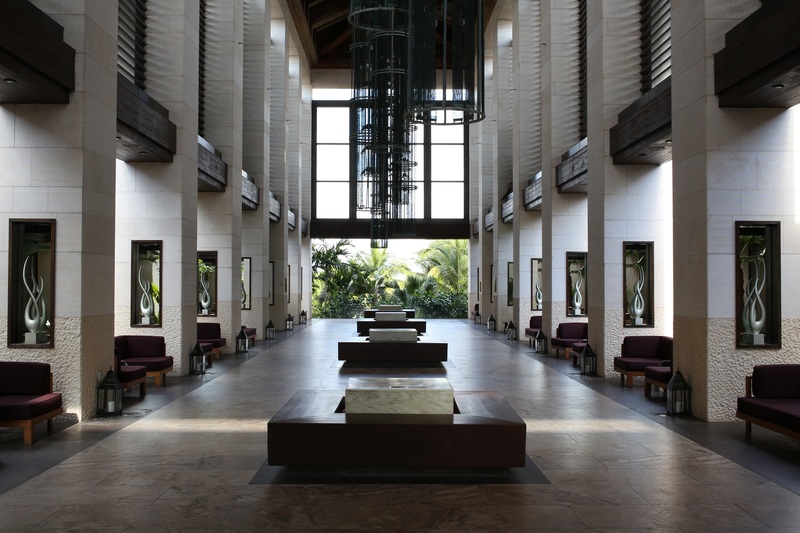 The lobby at The Reef. 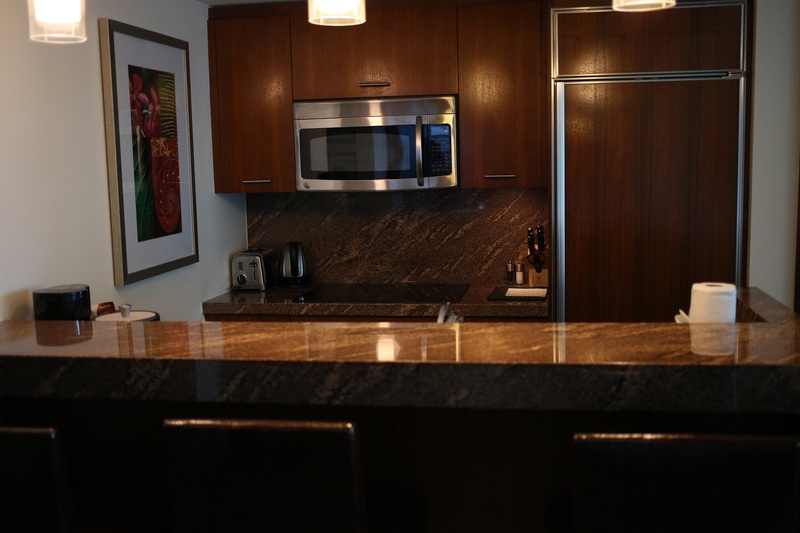 There are studio rooms at The Reef, so they have kitchenettes. Downstairs at The Reef, they have a sundries store for everything from snacks to milk and cheese. They also have a laundromat on the 2nd floor (and a Starbucks on the 1st!). 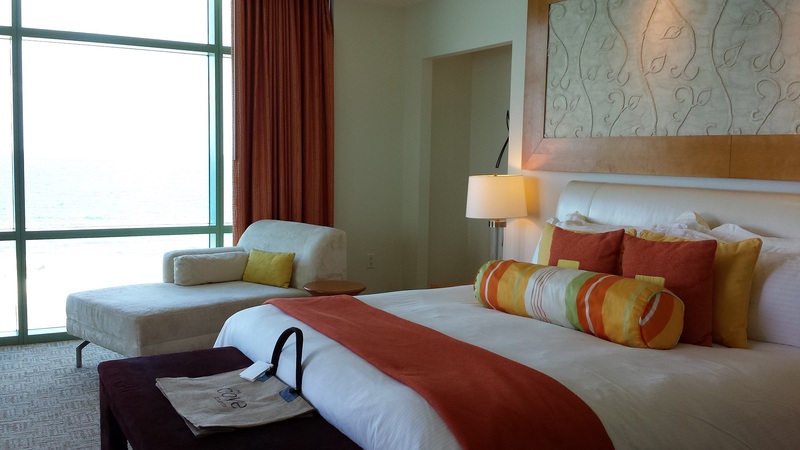 The rooms are spacious, clean, and the space is refreshing. Yes. That is a corner of the bed that you see. 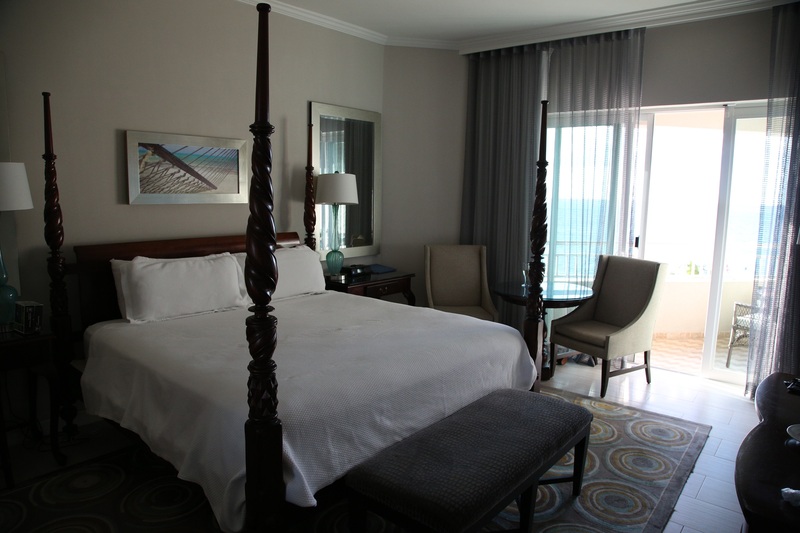 And yes, that is a floor-to-ceiling window, overlooking the Caribbean! Kids look on as they learn about wildlife in the Caribbean. 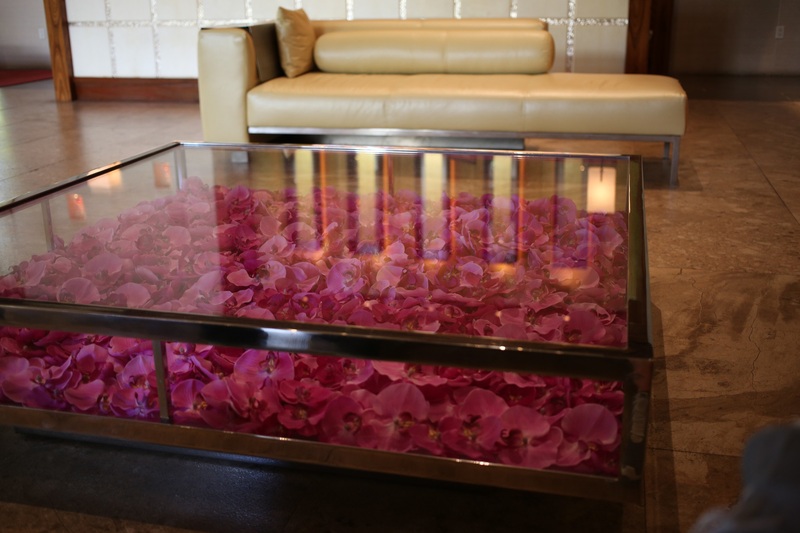 This beautiful table in The Cove lobby is filled with fresh orchids. The flowers are replaced once a week. 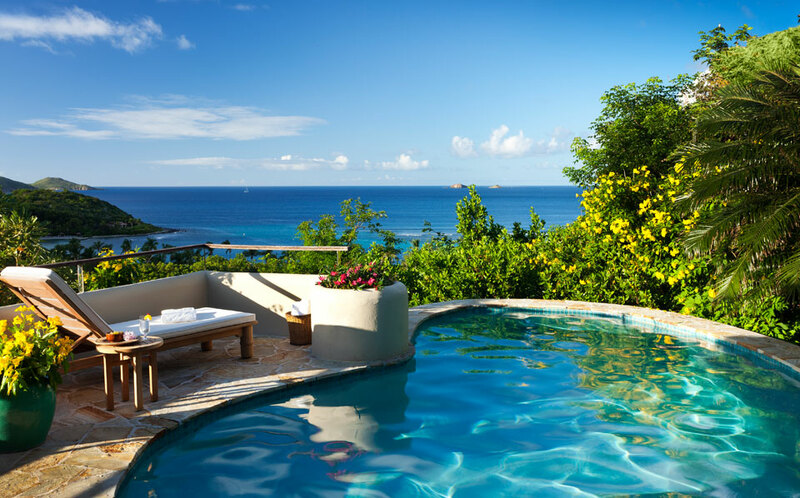 The Sapphire Suite at The Cove is one of the best at the resort. 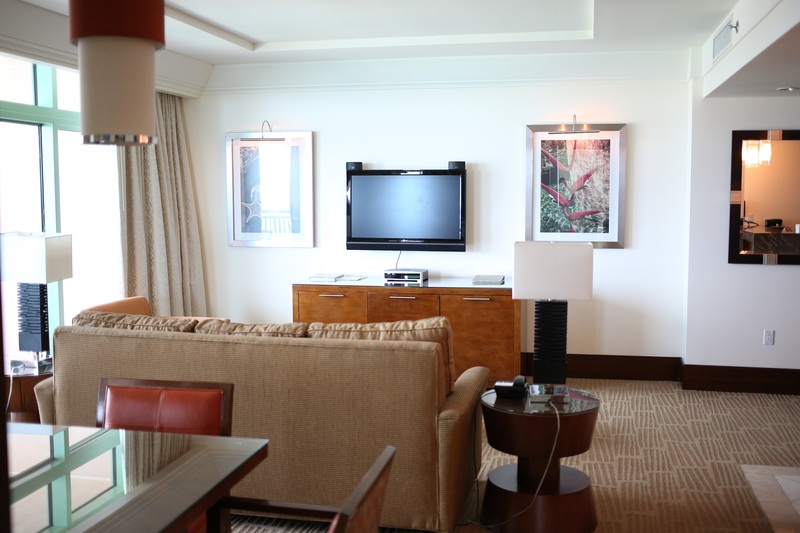 If you want serious luxury – this is your room. 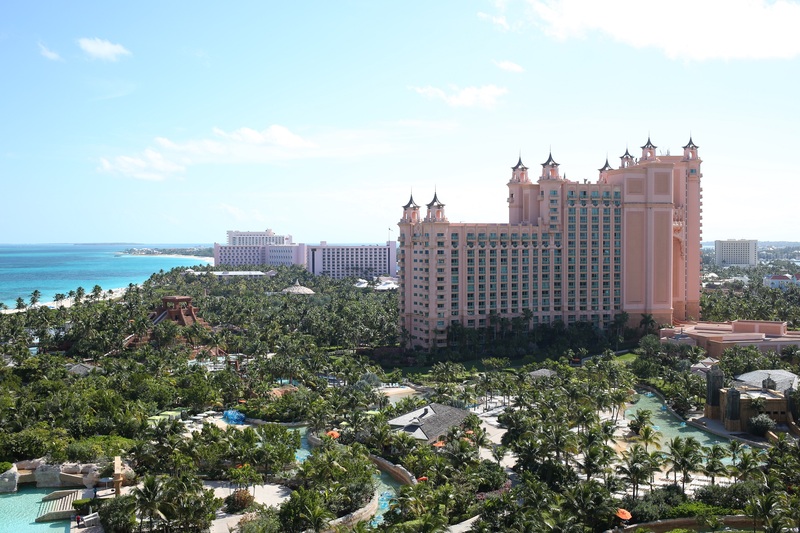 Looking off the balcony to The Sapphire Resort, you can see “Cain at The Cove,” the adult-only section of Atlantis. 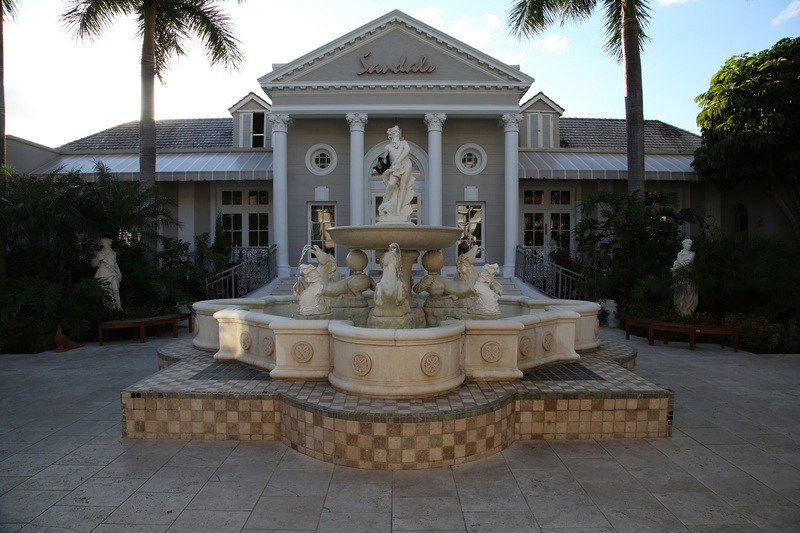 I was extremely fortunate to stay at Sandals Royal Bahamian in the Bahamas this past weekend. I would tell you all about it in words, but the stay is much better described in photos. See something that interests you? Email me at allison@pvactravel.com and let me know how I can help make your vacation incredible! Planning your honeymoon? I can help get some extra surprises to help you celebrate! 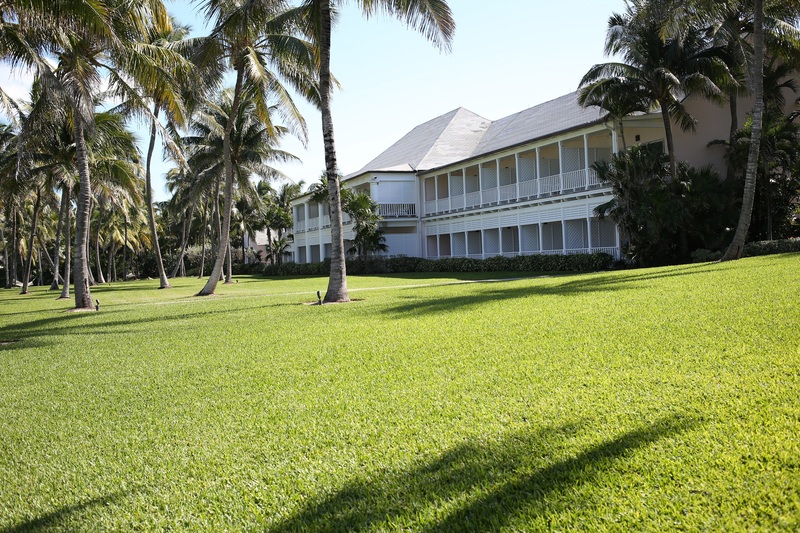 Our room was awesome – it overlooked the main area of the resort, and the beach. 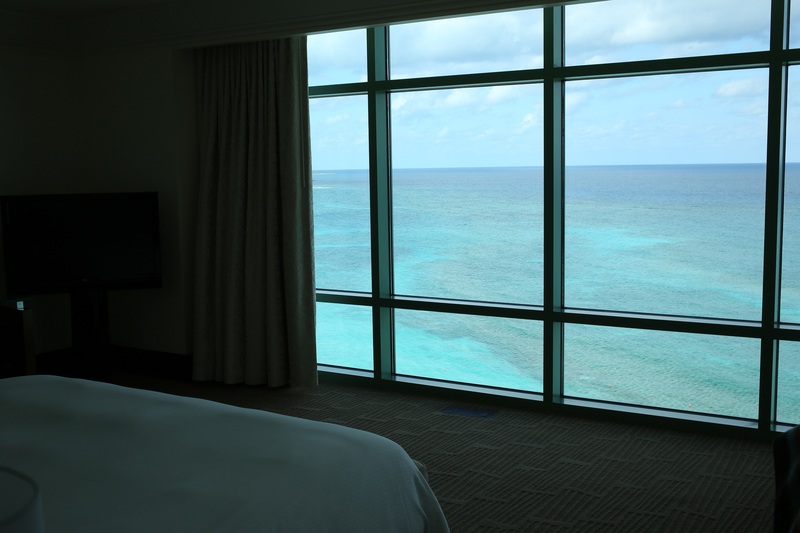 We had the sliding door open to our balcony each night to fall asleep to the waves. Speaking of our room, our view wasn’t half-bad! 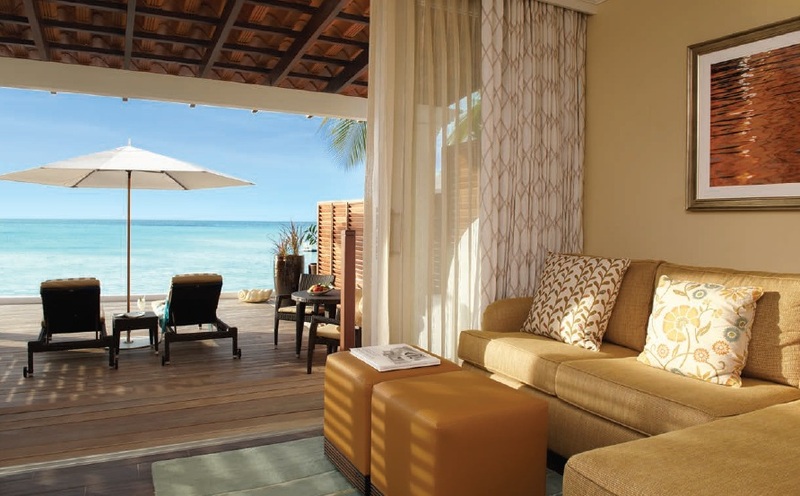 Book your Sandals vacation through me, and I can help you pick the room that will beat your expectations! 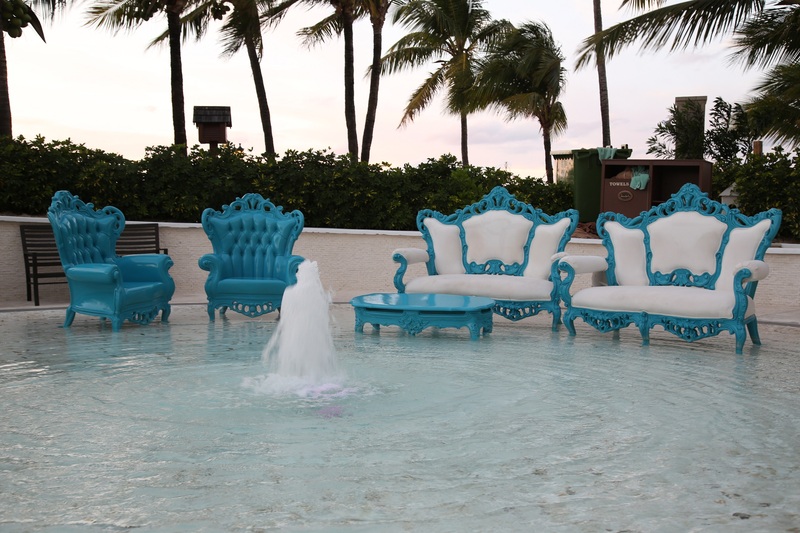 When you check in first thing, you see a beautiful fountain, matching the theme of the resort. When we first arrived late Friday afternoon, it was in the low 60s, so people had cleared out of the chilly pool (hey, it *is* January, after all!). The place was hoppin’ the next day! 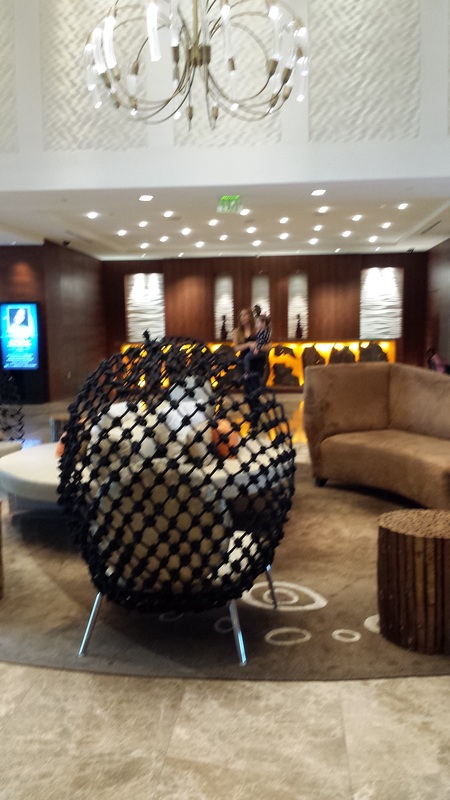 Something that I noticed everywhere – ample seating! Never before had I see so many lounge chairs. You don’t have to feel like you are cramped next to others, and there is always a “good chair” somewhere. That Friday in January, as it hit about 62, the fire pits came in handy. 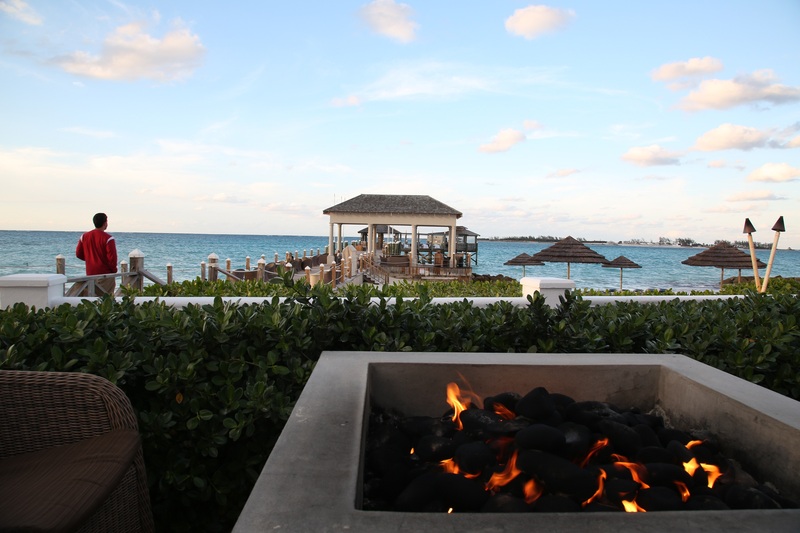 There aren’t many things as relaxing as sitting around a fire pit, with a beverage, listening to the ocean waves wash up to the shore. The layout of this resort is terrific. It has an intimate feeling without feeling cramped. 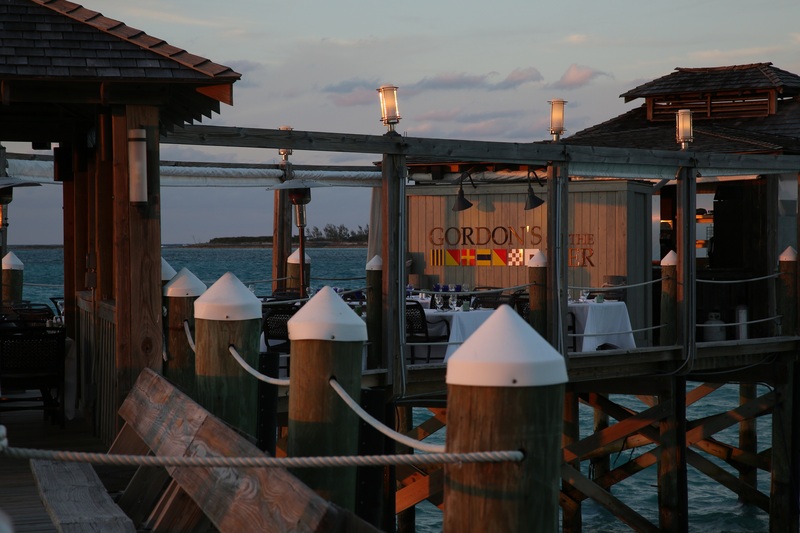 This restaurant, on the pier, specializes in seafood (of course). 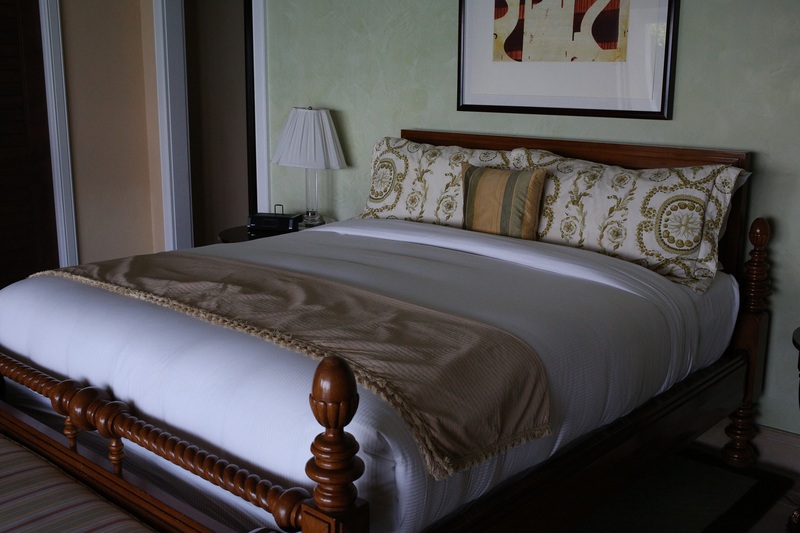 You can get a reservation by booking a butler category room. 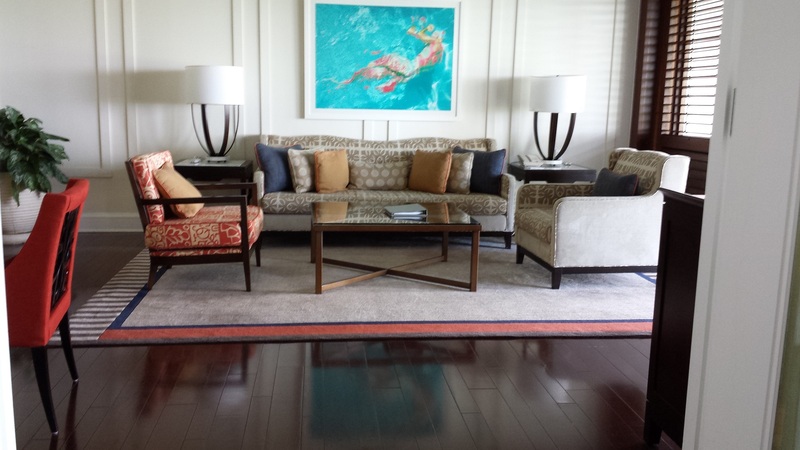 Let me help you pick the best room and make arrangements to guarantee you a spot! The food was amazing! The perfect place to cool down. 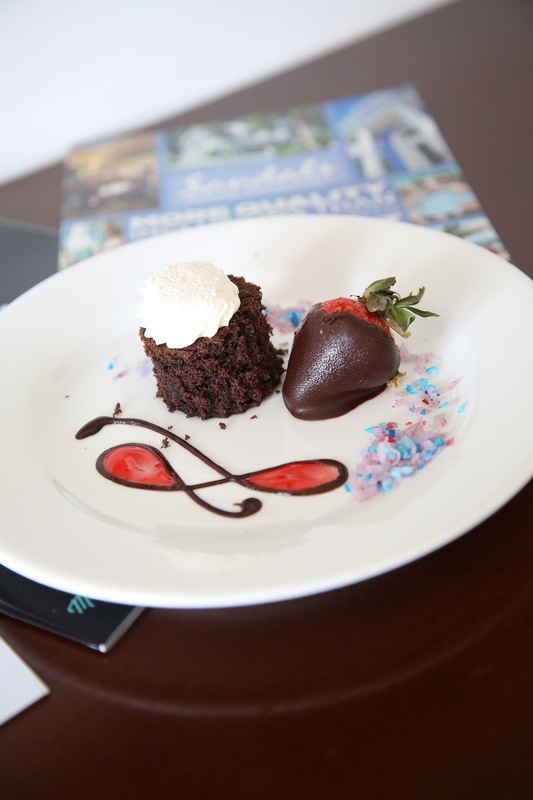 Throughout the week, Sandals has beach parties, live music, late night chocolate buffets… you name it! Here, they had a Junkaroo Party – complete with dancing, a DJ, and more. Lots of fun to attend – whether or not you participate! 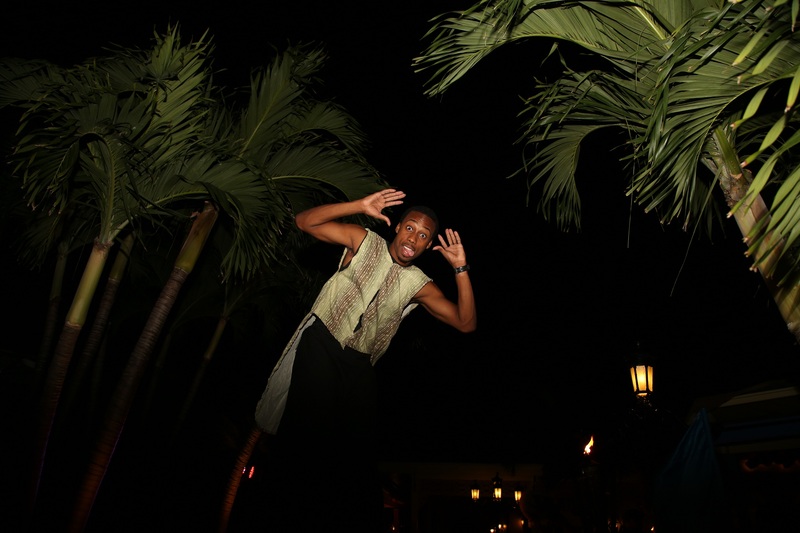 A guy on stilts at the Junkaroo Party… how in the heck does he do it…? 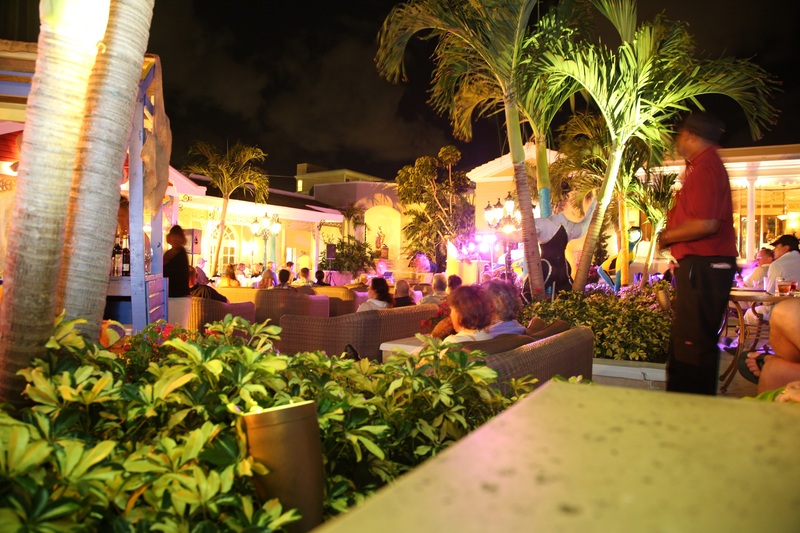 The terrace at night, during the party. 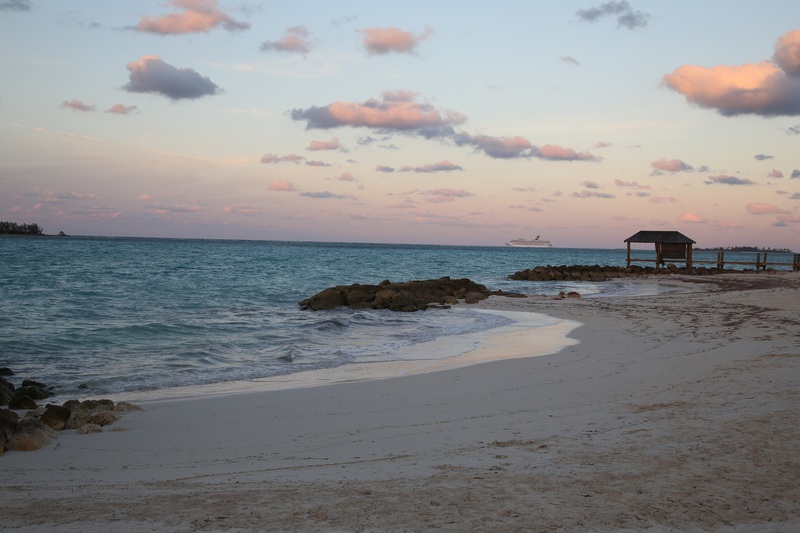 The water at Sandals Cay – Sandals’ private island. There is a ferry that goes over to the island each day. There is a restaurant, a pool, a bar, and this crystal clear, amazing water. 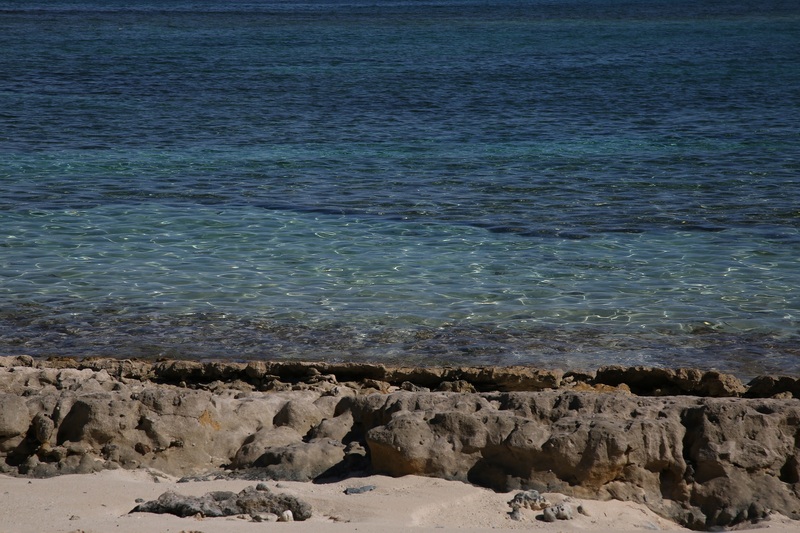 Also included – the feeling of being far, far away from everything. 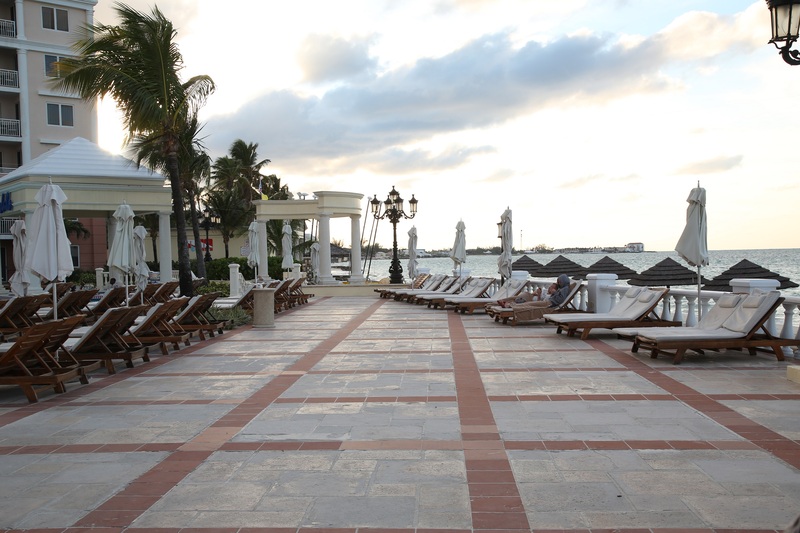 Another plus of a Sandals resort? Free use of non-motorized sporting equipment. 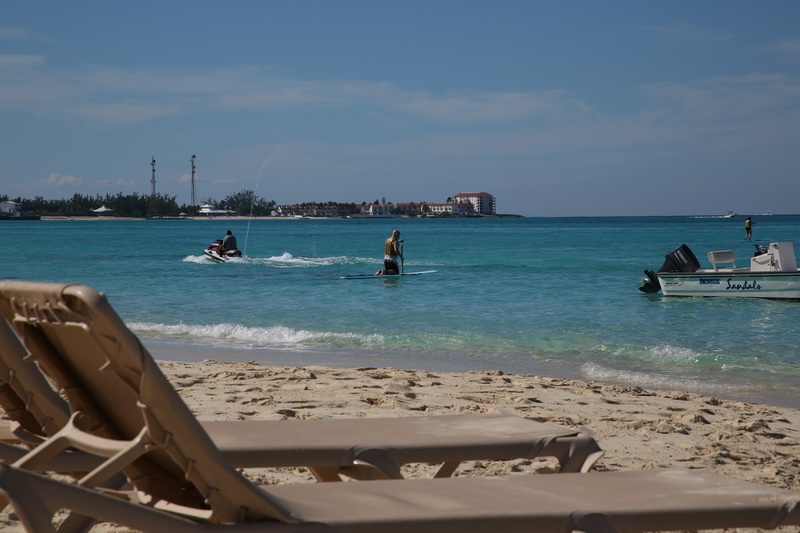 Want to use a hobie cat? Want to paddleboard? You can rent jet skits and such for a nominal fee, too. Give it a shot! 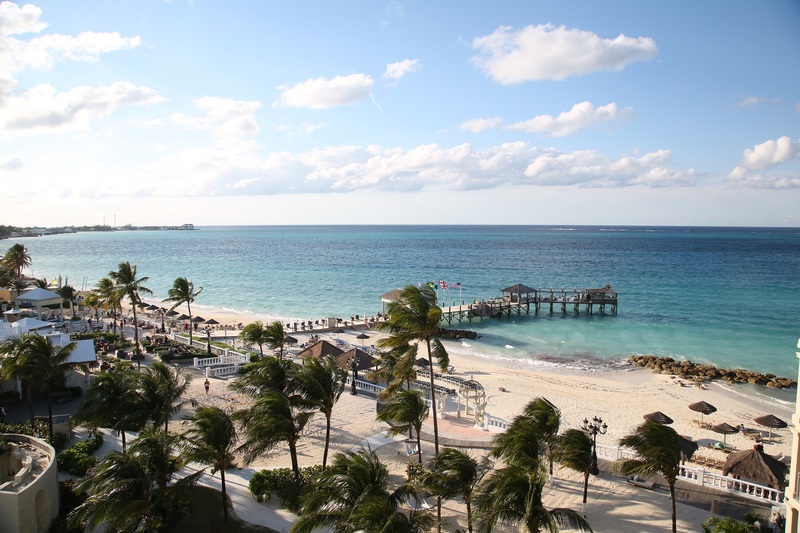 Looking for a quick getaway this holiday season? It’s not too late to book!